Not only can Tier 1 help you with GDPR compliant, award-winning IT asset management, we can also offer you unique CSR benefits. 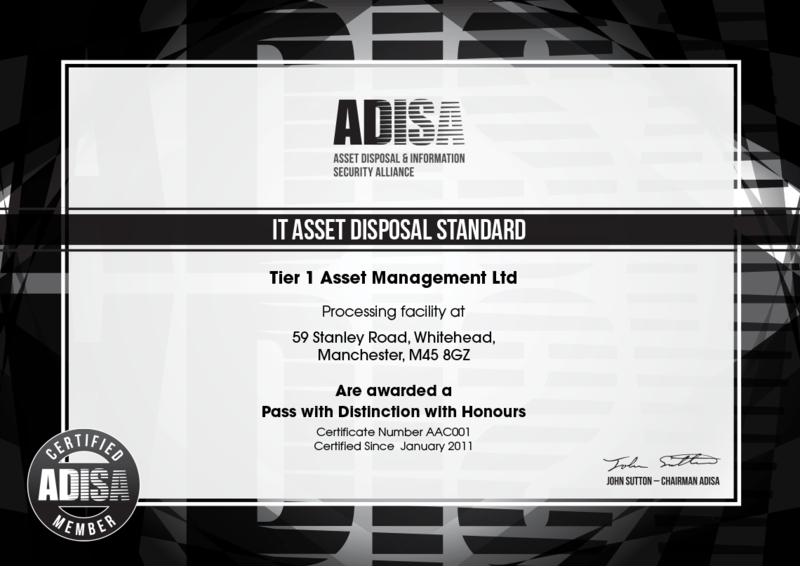 Tier 1 recognise that secure disposal is a major element of an asset’s lifecycle and as such, place a great deal of emphasis on providing our customers with accurate and timely reporting. Tier 1 has been providing high-quality refurbished systems for over fifteen years, at the same time generating in excess of £60m for our range of corporate clients. An increasingly common option taken by savvy organisations is to utilise Tier 1’s ‘refurbish to re-deploy’ scheme and cascade their quality IT assets back into their business. Tier 1 has a brilliantly innovative solution that delivers GDPR compliant and secure IT disposal, as well as offering unique CSR benefits to your organisation. We are leaders in the IT Asset Management industry, offering GDPR compliant, secure IT disposal and refurbishment services. Our MoD approved premises are protected by CCTV, perimeter fencing and segregation of data-bearing assets, and manned by SC cleared staff. The security of your assets from your site to ours is assured through solid sided, GPS tracked vehicles driven by teams of SC cleared staff. Tier 1 can provide comprehensive off-site and on-site data sanitisation methods to wipe your data from a range of media and devices. 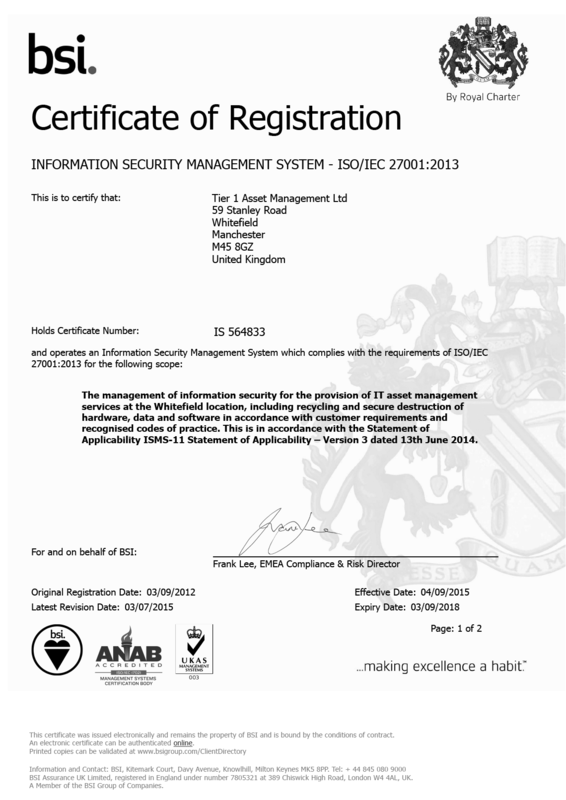 20+ years of industry experience gives our customers the peace of mind that their end of life IT assets are in the safest of hands. Tier 1 are independently recognised as market leaders of the IT disposal industry in both Europe and the UK. We excel at what we do. 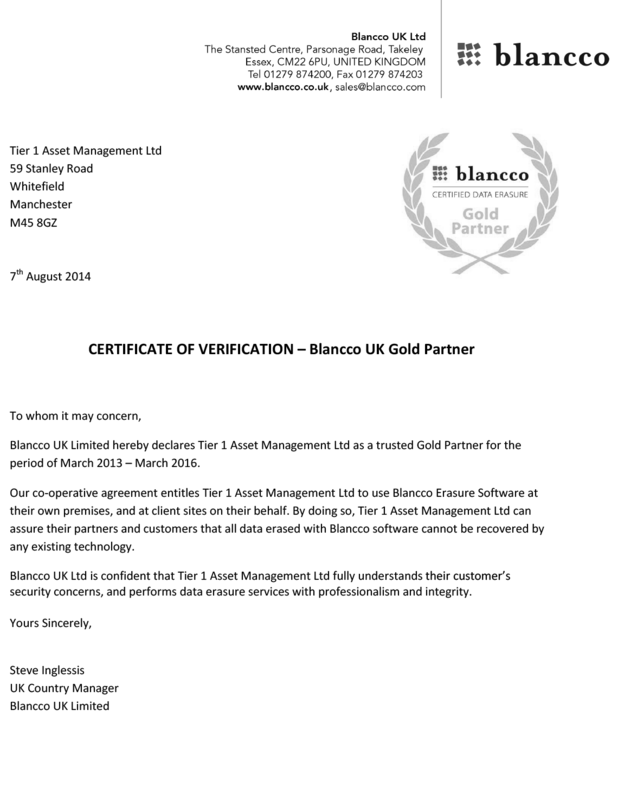 Tier 1 are highly accredited to cover every aspect of secure IT disposal, especially data security and timely, accurate reporting. 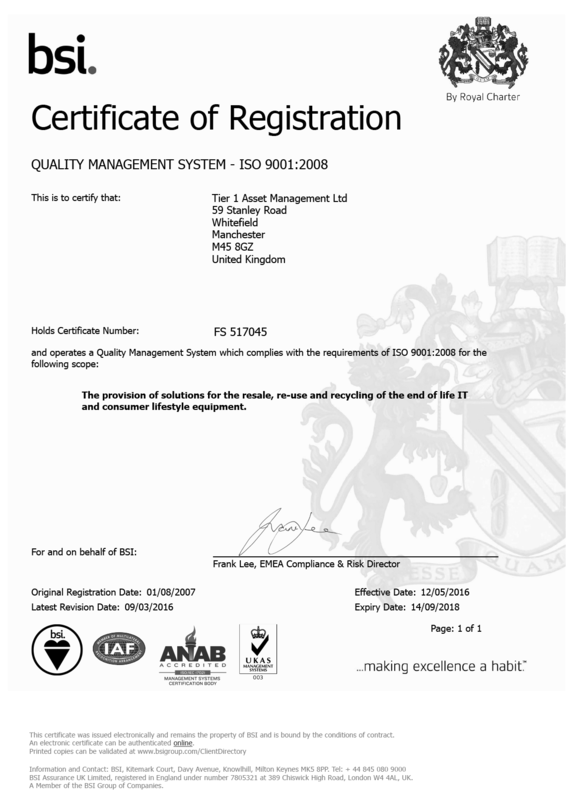 Would you like to see how we can help you with IT Disposal? Fill out the quick form below and we’ll get in touch soon!